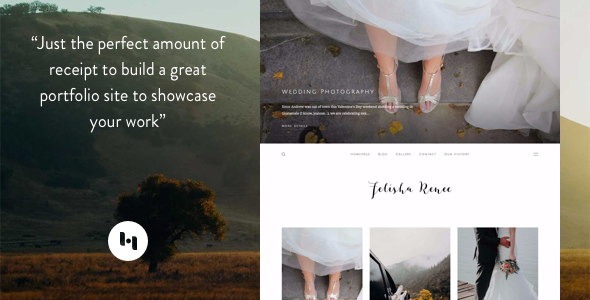 Description: Renee - Portfolio Blogger Templates is helps you set-up a perfect portfolio site with integrated sideblog entirely on Blogger. It comes in two version; portfolio and blog — adapt the same look and features, including; featured post, responsive and minimal design, overlay sidebar, working contact form, and new comment form UI. Just the perfect amount of receipt to build a perfect portfolio to showcase your work. Each version is a standalone theme, meaning you can install blog or portfolio independently. Also, with its fully integrated contact form, Renee makes it even easier for your customer to reach you. By purchasing you will get free access to our custom widget (Instagram, Social media, Flickr), truly widget with interface, easy to set up, no code, no headache.